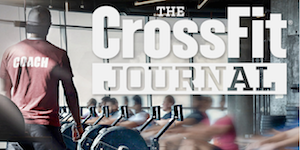 Content Courtesy of CrossFit Inc.
Unabated Crossfit provides a place where everyone is welcome, no matter your age, or fitness level. 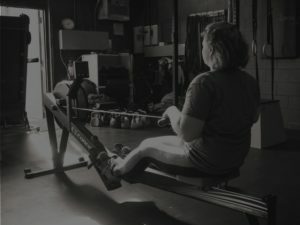 We provide an individualized experience for everyone, dependent on your goals; be it weight loss, performance gains, or general health and fitness. 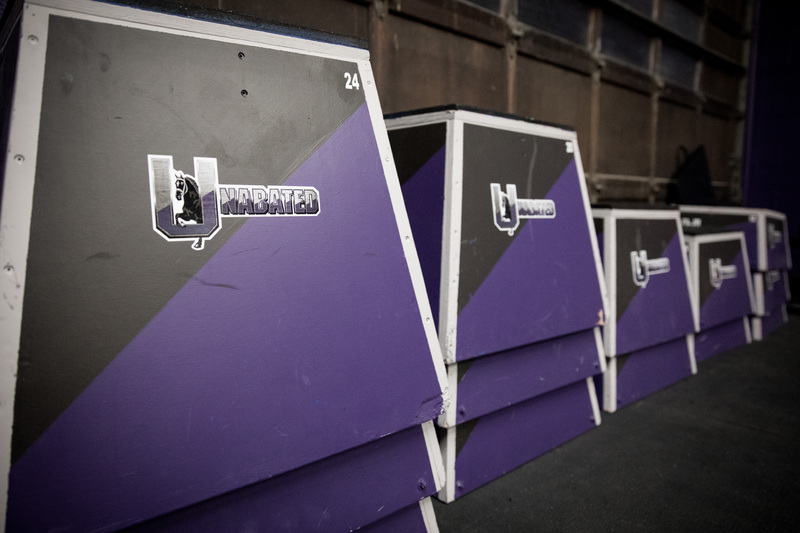 We pride ourselves on our capacity to scale and tailor every workout to everyone needs. See what makes us different from other Gyms in Woodstock. 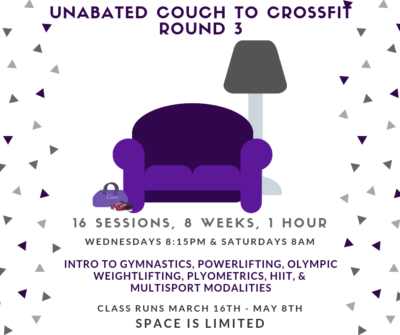 Unabated Crossfit is an inclusive community for anyone interested in pursuing improved health and fitness. We provide a place where everyone is welcome, no matter your age, or fitness level. We provide an individualized experience for everyone, dependent on your goals; be it weight loss, performance gains, or general health and fitness. We pride ourselves on our capacity to scale and tailor every workout to everyone needs. Classes are all led by a trainer, ensuring safety, proper technique, and providing encouragement. One-hour classes consist of a warm-up, strength and conditioning portion and a work out. Open Gym is for anyone wanting to come in and use the equipment or work on specific skills. Barbell Club is a dedicated time to working on Olympic Weightlifting, Power Lifting, and accessory strength movements. Personal training is available with Head Coach Erik Davidson. He will work with you individually to build a routine to target your goals and help you achieve success. For more information about memberships and pricing, click the button below. Feel free to contact us for more information about what sets us apart from other Gyms in Woodstock. 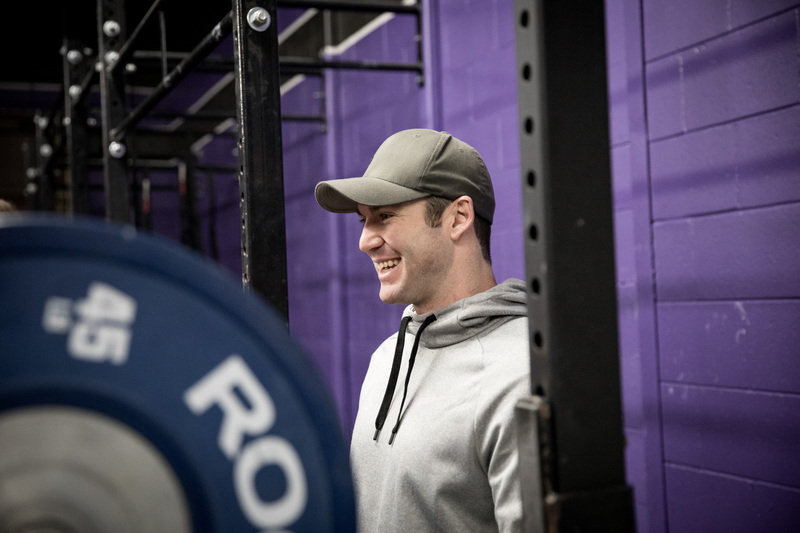 Erik Davidson is a coach dedicated to working with anyone interested in achieving increased health and fitness. He has been active in sports and fitness from a young age and loves coaching new people, helping them achieve their goals. He focuses on safe movement and proper technique, where quality is more important than the number on the bar-bell. Through experience and an inclusive understanding of the sport he can coach athletes to a higher level of competition. If you want to learn more, drop in to chat during our open hours.